Tiny plant and animal remains recovered through careful processing of soil samples collected during excavation help our environmental archaeologists to piece together past environments and economies. 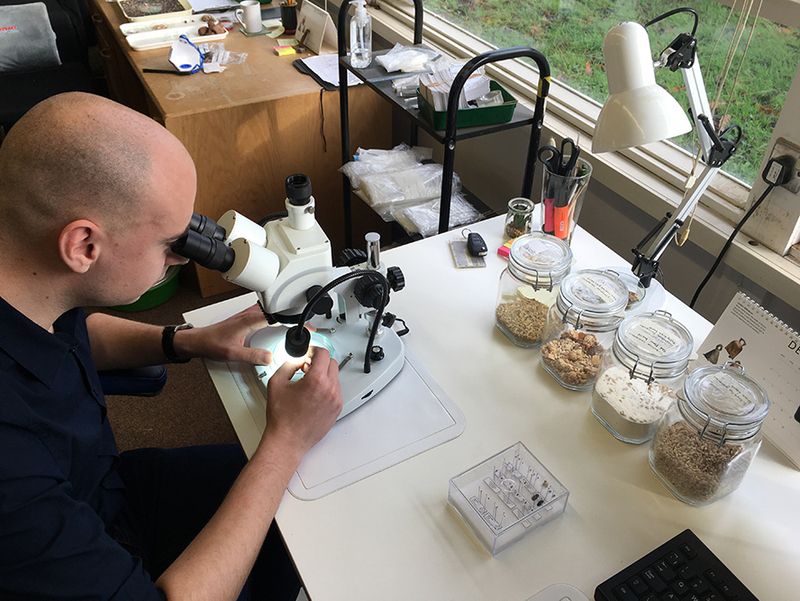 In this instalment of our #IckyArchaeology blog series, our Environmental Archaeologist Sander Aerts introduces us to grain pests who made their way to Britain by hitching a lift with the Roman army. It can happen to the best of us, and in the cleanest of houses. We spot some movement in our kitchen cupboard, or tiny critters float to the top of our breakfast cereal as we pour the milk in. Whether we want it or not, we share our houses with a large number of invertebrate housemates. It is just one of the many things the Romans brought to Britain. Grain pests, including beetles, mites and moths, have a cosmopolitan distribution, although these animals mostly do not occur outdoors. They are what we call obligatory synanthropes; animals that cannot live without man-made environments. Because they are biologically designed to live in dry, warm circumstances, we have created homes for them inside our own homes, far away from their natural habitat. For this reason, grain pests have been able to hitchhike along with people from Near Eastern and Mediterranean regions to colder and wetter regions. Unknowingly, they made their way to the north since the agricultural revolution in the Neolithic. Soon they managed to establish themselves in grain storages and homes in continental Europe, but failed to cross over to the British Isles. It appeared that their convenient position sheltered them from any harmful insects making the journey. It wasn’t until the Roman conquest in AD43 that a sudden infestation of grain pests took place. Finally, they were able to cross the North Sea by getting lifts on the grain supplies from the Roman army. Once introduced, there was no stopping them. Insect pests were presumably present in many Roman settlements, where they were able to maintain breeding populations. However, not to be deterred by a few pesky pests, where the grains were not too badly damaged, the Romans would have still used it to produce foodstuffs, brew beer or use it as fodder for livestock. In some cases, when the grain supplies were crawling with insects, it was buried or dumped in the backfill of old wells as a primitive form of pest management. You might not immediately think of insects as something you’d find in an archaeological excavation, but if the conditions allow it, we can find hundreds of insect pests in only a few litres of soil. Exoskeletons remain beautifully preserved when sealed off from oxygen in waterlogged ground. 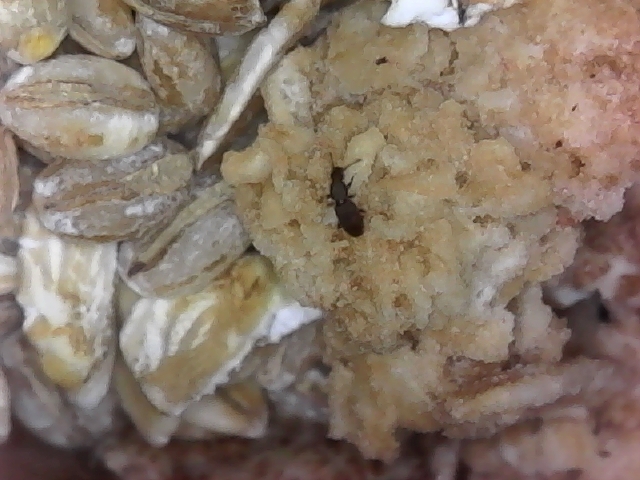 Therefore, grain pests that were dumped with spoilt grains in wells are relatively easy to retrieve. We may also find them in human and animal waste, indeed, after they’ve passed through the digestive system. The same culprits that were bugging the Romans can still be found in our houses today. One of the more common ones is the grain weevil, Sitophilus granarius, although some closely related (and similar looking) nephews may also be encountered. This is a 3-5 millimetre, somewhat slow-moving and flightless beetle that is characterised by a snout. It uses its prolonged mouthparts to drill a hole in a grain kernel, after which the female will deposit an egg in it. The larva develops within, eating the starchy contents of the grain, until it is ready to emerge as an adult. This animal is somewhat of a mystery to the scientific community, as we’ve never located any modern or paleontological natural populations. 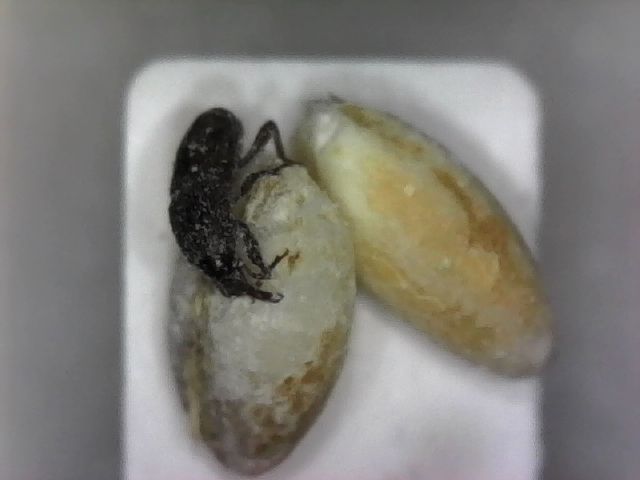 Another very common Roman housemate is the saw-toothed grain beetle, Oryzaephilus surinamensis, which normally attacks damaged grains, but thrives on any processed cereal product. The beetle is 2 to 3 millimetres long and is characterised by its saw-toothed prothorax, the upper middle segment of an insect body. If you ever find them in your kitchen, maybe take a minute to appreciate the long journey grain pests had to travel to end up there. Don’t panic, they’re fairly harmless. Just make sure you deposit your breakfast cereal in the closest well you can find. For more Icky Archaeology search for the hashtag #IckyArchaeology on Twitter, Facebook and Instagram. Read the first instalment - about how we found keratin teeth belonging to gruesome lamprey fish near Mansion House - here. We have identified keratin ‘teeth’ belonging to the gruesome lamprey fish for the first time in London’s archaeological record. Our specialists provide comprehensive, expert environmental analysis in support of assessments and publications.